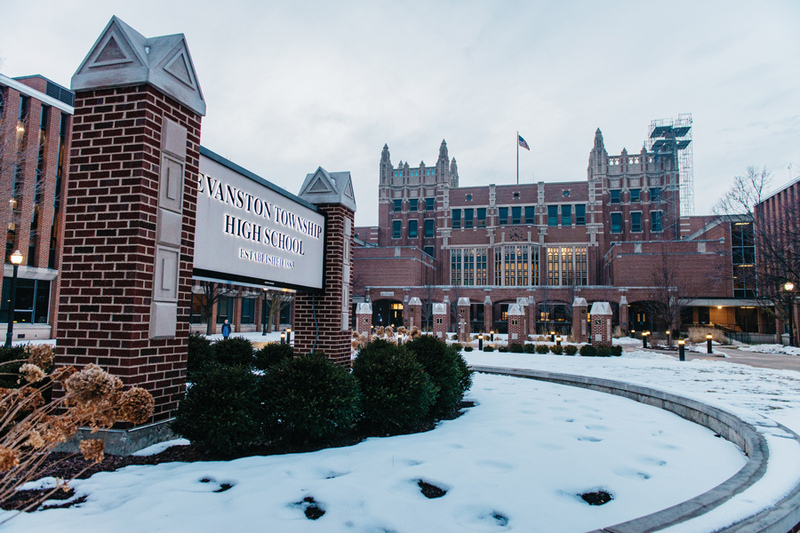 Evanston Township High School, 1600 Dodge Ave. ETHS cut its Hebrew program from next years curriculum after superintendent Eric Witherspoon said the district could not find a qualified licensed Hebrew teacher. The Evanston Township High School/District 202 school board will discontinue the Hebrew program for the 2018-19 school year after failing to find a qualified teacher and a decline in student enrollment, according to a copy of school board emails obtained by The Daily. Superintendent Eric Witherspoon wrote in an email on Oct. 2 to the school board that after two years of searching for a qualified licensed Hebrew teacher, the district cannot guarantee four uninterrupted years of Hebrew instruction for incoming students. After the school’s long-time Hebrew teacher retired in 2015, the program’s total enrollment numbers dropped to 78 students in 2016 from 93 in 2015, according to an email from Witherspoon to school board members on Dec. 4. This year, there are 35 students enrolled across the five levels of the program, District 202 assistant superintendent for curriculum and instruction Pete Bavis told The Daily. With the current enrollment, the school can only hire a part-time teacher, though he said the school normally would not sustain a program at that level. Bavis added that the enrollment in Hebrew is significantly lower than any other world language program. The next lowest being 71 students enrolled in Chinese. The current teacher, who works at Niles North High School and part-time at ETHS, could not keep splitting her time between the two schools, according to the Oct. 2 email from Witherspoon. Bavis said she taught all five levels in two sections this year, but was hired full-time by Niles for the 2018-2019 school year. ETHS did not offer the beginning-level Hebrew course last year due to staffing issues, leaving 12 freshman unable to enroll in the course, according to the Dec. 4 email from Witherspoon to board members. Freshmen who studied Hebrew at other schools were able to test into the higher level classes, according to Witherspoon. Current third and fourth year Hebrew students can take online courses next year to complete their fourth or fifth year language requirements, though only students already in the Hebrew program may take the online classes, according to the Oct. 2 email from Witherspoon. So those students can receive credit, a teacher who is licensed –– but not in Hebrew –– will supervise the class. Bavis said in emails to parents that the board agreed to not support any program with dwindling enrollment and small number of possible teachers who are licensed to teach a high school curriculum in Illinois. ETHS parent Rabbi Lisa Greene said there is a group of parents and professionals in the Evanston Jewish community who have reached out to the administration and school board in support of the program. She found out the program was cut when her child, an incoming freshman, went to take the Hebrew placement exam this fall and discovered ETHS no longer offered it. Greene added that the group has also found possible candidates for the job and is willing to help find additional employment for the teacher if the school can only offer a part-time position. Greene said it is also important for the school to give the teacher and community several years to rebuild the program, which was started roughly 50 years ago, since Hebrew is a valuable part of Evanston’s conversations about diversity.